Note from the editors: This piece originally appeared at Arts Everywhere. It is reprinted here with kind permission from the author. On March 3rd, 2018, the main pre-election rally for Vladimir Putin took place at the Luzhniki Stadium in Moscow. Tens of thousands of public sector workers were brought in from various regions of the country and were expected to listen to the President’s speech as well as those of actors and singers who came out in his support. Not long before Putin himself appeared, Grigory Leps, a popular singer with a criminal past, performed his song “The Very Best Day.” Precisely six year .. 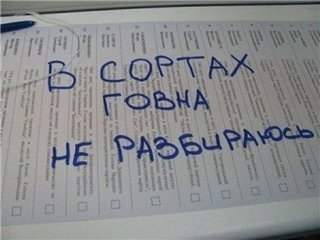 Translated from the original Russian by Joseph Livesey According to forecasts, the upcoming March 18 presidential elections in Russia will proceed without any surprises, as just the latest legitimization of another presidential term for Vladimir Putin. However, this foreseeable ‘victory,’ gained via massive pressure on the electorate and the Kremlin’s tight control over the political sphere will still point to a deep crisis within Putin’s model of “managed democracy.” During Putin’s current third term, his regime has become much more clearly based on personality, while the fact that its “democrati .. Note from the LeftEast editors: Interview conducted by Vasile Ernu for Criticatac.ro, introduced by Giuliano Vivaldi and translated from the Russian by Joseph Livesey. One would have hoped that the occasion of the centenary of the Russian Revolution would have lead to a serious reimagination of both the event in itself as well as the legacy and history emerging from this monumental event. In the English-speaking world many books have been rolling off the press in an attempt to reread this event in a number of ways. China Mieville’s October was arguably the best-written of the actual accounts of the revolutio .. This interview was originally published in Russian on www.yuga.ru and translated for LeftEast by Adam Leeds. How would you describe the ideology of the ruling regime in contemporary Russia? On what values rests that which some call “Putinism”? What is behind the facade of all this speech about ‘spiritual bonds’ and ‘our glorious past’? The conventional idea has become that from the beginning of Putin’s third term we have been experiencing a conservative turn. If in the ’00’s the regime presented itself as technocratic, standing above politics and simply ensuring the integrity of the country, s .. Note from the LeftEast editors: The rallies that took place in Russia on June 12 under the slogan “We Demand Answers” are the first political event of the summer of 2017. Translated kindly from the original Russian on OpenLeft.ru by Emma Claire Foley. Anti-corruption protests took place in Moscow, Petersburg, Nizhniy Novgorod, Kaliningrad, Lipetsk, Tula, Vladivostok, Norilsk, Sochi, and other cities, a continuation of the high-profile protests of March 26, when people demanded Prime Minister Medvedev answer for his appalling wealth. But it wasn’t as straightforward as that. In Moscow the rally was initiall .. Note from the LeftEast editors: The July 8/9 NATO summit in Warsaw was not much more than the usual spectacular propaganda advertisement with which the Atlantic Alliance countries wanted to show the world their strength and their common commitment to “security and peace”. In fact, beyond the usual internal conflicts between members of the Alliance, the summit took no “historic” decisions, reflecting the diplomatic and military choices of these days. We have previously published an article by Ilya Budraitskis who reported on the NATO summit through the eyes of anti-war activists and oppone ..